Designed with Chloramine resistant rubber components and connected to the patented UltraCore™ supply line, this angle stop allows for excellent resistance to oxidation, scaling, mineral buildup, chemicals and heat. Bulk packaged (24 pieces). 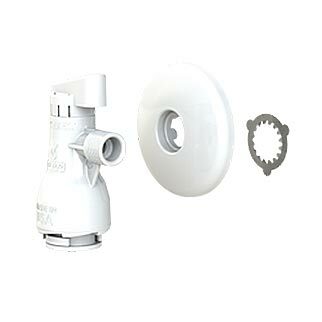 Includes Escutcheon and Gripper Ring.